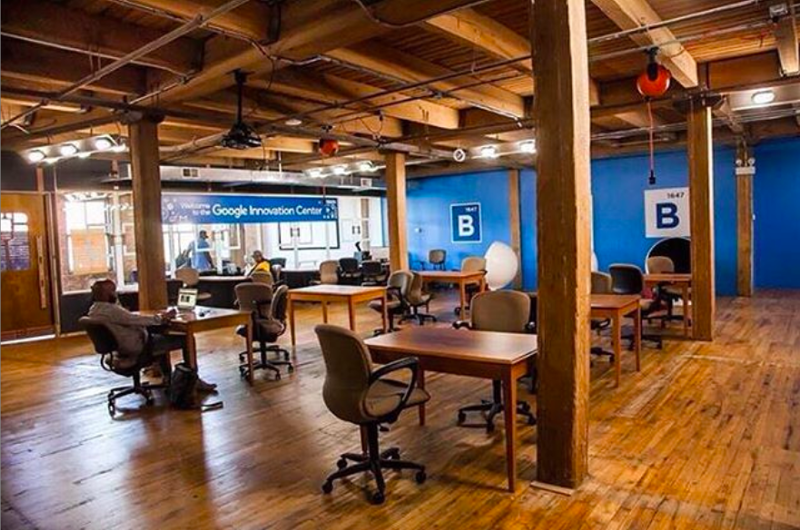 Blue Lacuna / Blue 1647 coworking space in Chicago, IL. We’ve been collecting the names and locations of co-working spaces owned or co-owned by African Americans in the U.S. The data set also includes spaces that were owned by an African American owner but are no longer operating (indicated). We plan to do deeper dives into this data and present potential stories on the communities where black-owned co-working spaces exist. For now, we want this list to be visible and available for public use. If you decide to publish the data or create a project around it, we kindly ask that you credit compilation to ThePLUGDaily.com. Did we miss your space? Share details with us at hello [at] theplugdaily.com and we’ll update the database! The first daily tech newsletter investigating trends covering founders, innovators, and investors of color.